The USA is not only the partner country for the 2016 Hannover Messe, it is also the most important overseas market for Germany’s mechanical engineering industry. Schaeffler’s strong local presence means that the company benefits greatly from the USA’s economic growth. The “Blue Line” links the center of Charlotte, North Carolina with the city’s south side. 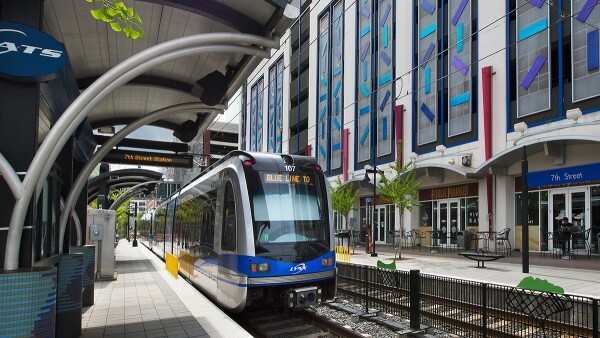 They call it the “Blue Line” – a light rail service in Charlotte, North Carolina. The line was opened in 2007 and, with a total investment volume of several billion dollars, also has great symbolic value. The line’s operator is now expanding it to include the city’s university. This is not the only construction site in Charlotte, however: Closed-off areas, cranes, and construction workers can be seen everywhere. As one of the southern USA’s main financial centers, the city is profiting from the economic upturn that the country has been enjoying since the economic and housing crisis that took place at the end of the last decade. In 2015 alone, the US economy grew by 2.4 percent. Schaeffler has its US headquarters in Fort Mill, just a few miles from Charlotte’s airport and directly on the border with South Carolina. Construction work is also taking place at this location. In just a few months, a plant extension is to be implemented, which is urgently needed in order to satisfy the high demand for the automatic transmission components that are manufactured here. Ground-breaking began at the start of April, and the first machines are set to move into the new building in the summer. There has been a veritable explosion in the demand for our products over the last few years. Plant Manager Dr. Sebastian Beetz and his team certainly have their hands full keeping pace with the growth going on around them. 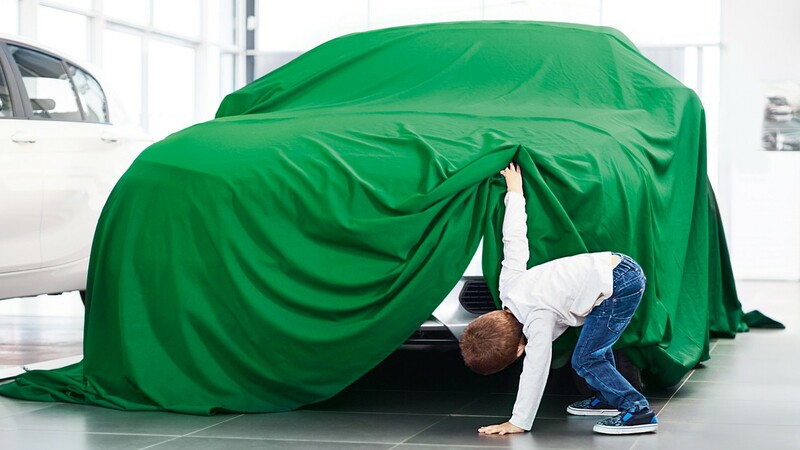 The booming automobile market, which saw more than 17 million new vehicle registrations in 2015, is not the only source of benefit for Schaeffler – the regulations that are forcing US automobile manufacturers to reduce fuel consumption year after year are also a contributing factor. Regulations in the USA are different to those in Europe, and the fleet consumption targets that manufacturers have to achieve depend on the size of the vehicles sold. By 2025, however, passenger cars will have to achieve values comparable to those proscribed for cars in Europe from 2021 onwards. “This has had the effect that an increasing number of manufacturers are utilizing automatic transmissions with eight, nine, or even ten speeds", adds Beetz. The German production specialist has been in charge of Plant 3 since last autumn. “We are taking advantage of the momentum that the high volume of orders has provided in order to invest in making our production facilities ready for the future”. 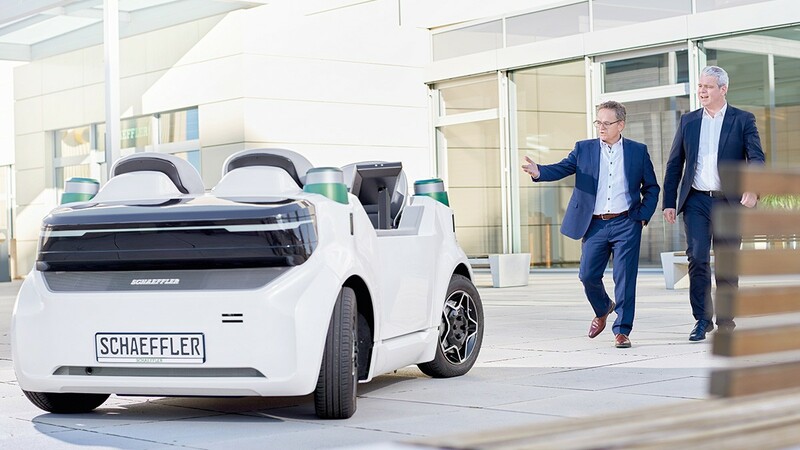 US automakers show more and more interest in the systems for electrical and hybrid cars Schaeffler has developed recently. Hybrid drives are an appropriate way for reducing fuel consumption in large SUVs or pick-up trucks without limiting the range. A huge market potential, as one of two passenger vehicles sold in the US is a “light truck”. The fact that Schaeffler also manufactures more than 70 percent of the components delivered in the “Americas” region is paying off. Many consumer sectors even make localization mandatory, including the aerospace sector. FAG took over the long-established aerospace supplier Barden in the early 1990s. “For the airlines, reducing fuel consumption has been an important goal for a long time”, explains Peter Enright, who is responsible for aerospace business in the region. High-precision Barden bearings can be found in the engines of virtually every manufacturer. These include the new generation of engines based on the geared turbofan concept. The fan – i.e. the large fan impeller at the engine nacelle’s air intake – is no longer driven directly by the turbine’s main shaft but via a two-speed gearbox. This makes it possible to operate the fan at a slower speed and the turbine at a higher speed. The geared turbofan design reduces fuel consumption by around 15 percent and noise by up to 50. 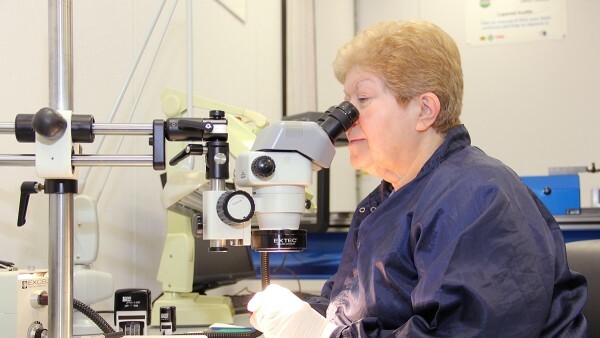 At Danbury, aerospace bearings are inspected and repaired. Bearings for the aerospace industry are always specially manufactured: If an aircraft engine contains 250 bearings, each one will be unique. “The reconditioning of used bearings is interesting because of the costs involved”, says Enright. Danbury is one of five centers around the world at which used aerospace bearings are inspected and repaired when necessary at the customer’s request. It is becoming increasingly common for engines to be paid for on a “power per hour” basis rather than simply bought, and this makes fast and effective maintenance particularly interesting. Schaeffler’s reconditioning service has long included both its own bearings and those of other suppliers. “Business in the maintenance sector is expanding approximately twice as fast as business in the new components sector”, explains Enright. According to the Census Bureau, there are currently 40 million more people living in the USA than at the start of the new millennium. The market is therefore not the only thing that is growing – the available reserve of workers is doing the same. In order to qualify these workers, Schaeffler has introduced a three-year professional training course at Fort Mill that is in line with the German standard. The price of natural gas and crude oil has dropped significantly during the last decade, one of the main reasons being the 42-percent increase in shale gas production between 2005 and 2015. The acquisition of crude oil from the slate bed has led to a high level of independence from crude oil imports. The start of 2016 even saw the country’s 40-year ban on crude oil exports lifted. Industrial electricity is correspondingly cheap, with prices as low as the equivalent of six euro cents per kilowatt hour in some places. Despite the low prices for energy from fossil fuels, the country also represents an attractive market for wind turbine manufacturers. Many states have regulations in place that specify a minimum percentage of energy that providers must obtain from renewable sources. In many places, medium-output wind turbines installed on land are the most cost-effective way of fulfilling the quota. 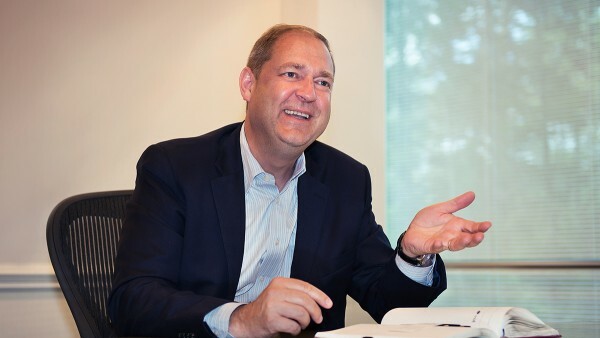 “This is another area where our local presence works to our advantage”, says Eric Ovendorf, the man in charge of Schaeffler’s industrial business in the United States. 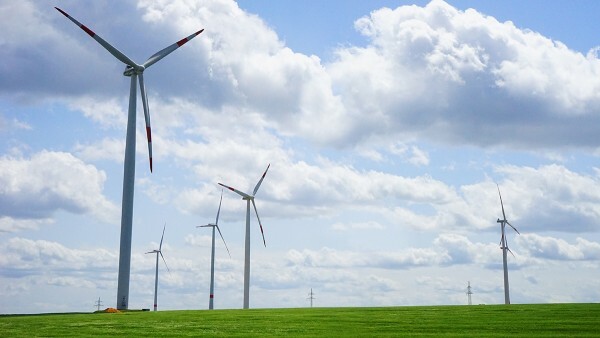 In addition to US companies, the turbine manufacturers from overseas also manufacture in the USA – and they too want to procure components locally. What is more, Schaeffler has developed technical solutions that allow low-maintenance operation with no failures. “This is a particularly decisive advantage in a country where the production of electricity from renewable sources receives no subsidization”, explains Ovendorf. At the 2016 Hannover Messe, the focus will be on digital production. A wide range of research projects are being financed in Germany under the banner “Industrie 4.0”, the aim of which is to demonstrate the benefits of digitally interconnected production. However, what only experts know is that this topic is also being promoted intensively in the USA’s industrial sector. An “Industrial Internet Consortium” (IIC) was founded in 2014 and now comprises more than 230 companies. The IIC and Germany’s “Industrie 4.0 Platform” have been cooperating since last year. This country is also seeing an increasing level of interest in interconnected production, even though reticence is still widespread when it comes to specific applications. “We know how to integrate sensors into machine bearings in order to obtain data on their use, and we can use these data to carry out increasingly high-quality analyses of the machine’s condition”, explains Ovendorf. At the Hannover Messe, Schaeffler will be presenting ways in which such analyses can be used to plan machine maintenance in such a way that downtimes are minimized, under the “Predictive Maintenance” motto. The exhibits are open to all visitors, with large numbers expected from the USA (the partner country for this year’s trade show), since according to the VDMA, the United States again became the world’s most important sales market for German mechanical engineering companies in 2015.